The halt has finally ended. The long awaited news about the actual start of new Audi Q7 Crossover has finally been speculated with a date. However, the actual date is yet not clear. By the help of its CKD kit that it had established in Aurangabad manufacturing unit in Maharashtra, new Audi Q7 will now be assembled in India itself. There are some reports which tell about the queue that has been formed by the Audi models to get assembled in India, but exact date is still not released. It is stated that after Audi Q3 Crossover is finished with its perfections as it has to be launched here in the mid of 2012, the next to be marched-in into this plant is Audi Q7 Crossover. If speculations have a penny of truth in it, Audi Q7 assembling task will begin at the end of 2012. CKD assembly of these luxury cars will lower their prices by approximately 20 per cent as very low excise duty has to be experienced by the manufacturers with the CKD assembly. A Complete Built Unit (CBU) approach resulted to be much expensive. But, this strategy is used for most of the globally acclaimed cars. A CBU route puts 60 per cent excise duty whereas a CKD approach lessens it by 30 per cent i.e. only 30 per cent excise duty has to be afforded. Now, if the engine and transmission are also planned to be manufactured in India, more 10 per cent reduction in the price is expected. 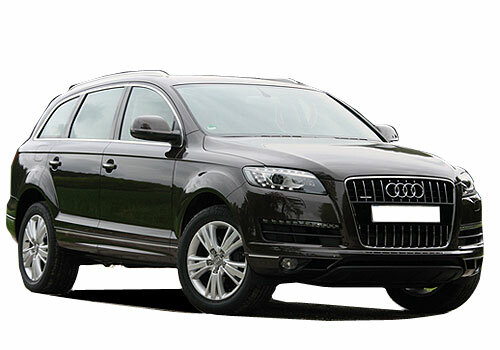 Audi being the most highly acclaimed producer of luxury SUVs is here with its Q car models. Out of which, Audi Q5 crossover is already being assembled in India since 2011.